What is a piz file and how do I open a piz file? PIZ files are known as zipped files since the file extension is actually “zip” spelled in reverse. This is the reason why it is also known as renamed zip file. PIZ files are categorized as compressed files and archives that are used to send zipped email attachments so that the message cannot be blocked by email server filters. PIZ files are also useful when it comes to hiding the file type to prevent opening them. 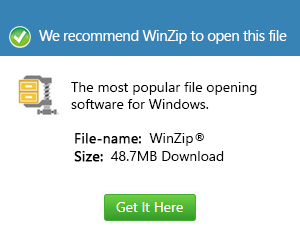 For this reason, opening PIZ files may require users to rename the piz extension to zip first and then use any Zip decompression utility to open them. Since these files are more secure, they are usually utilized by some anti-virus applications and they contribute a lot to the protection of zip archives from viruses. Corel WinZip 16 Pro is an application that can also be used to open PIZ files on Windows. It is an excellent tool used for the compression, sharing, protecting and backing up of files to a disk or for email purposes. Both Windows and MAC can also open PIZ files using the Smith Micro StuffIt Deluxe 2011 and Smith Micro StuffIt Deluxe 2010 applications.